As you can see, there's a new wall in town! 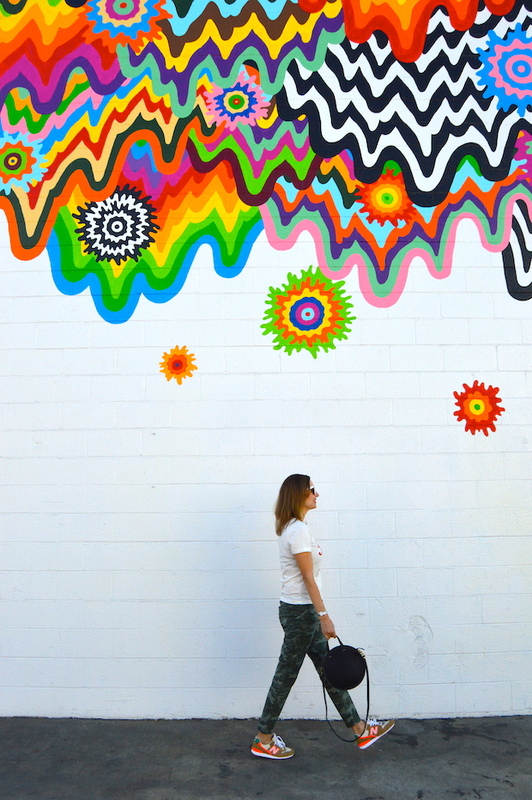 The artist of this gorgeous wall, which is located on the side of an inauspicious warehouse in the Arts District of Los Angeles, is Jen Stark. I thought I would be the first one to discover it and post pictures of it on my blog, but sadly Style Charades beat me to it and posted pictures of it this week! Oh, well. Not only did she beat me to it, but her pictures, as always, are absolutely gorgeous! I think it's best not to compare oneself to other bloggers, but sometimes it's hard, especially when you see your work as an amateur next to that of a professional. 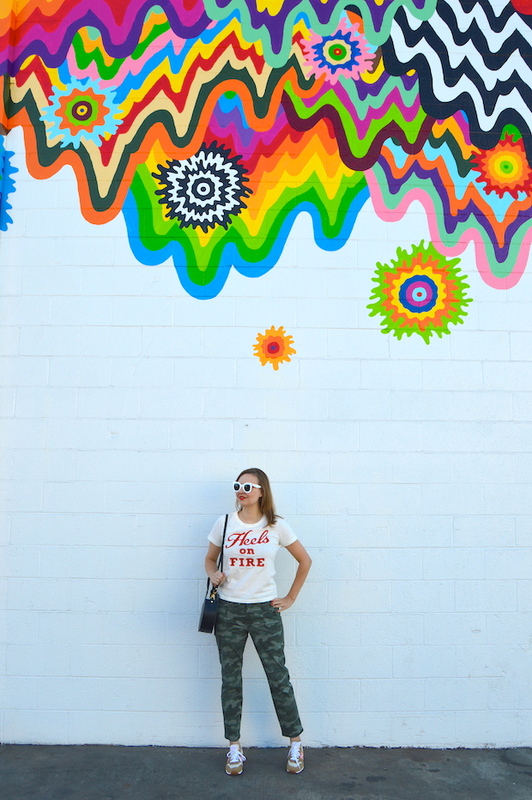 Not only is this wall new, but so are my camo pants! I never thought I would see the day when someone such as myself, who usually gravitates toward more feminine styles, would wear camo, but I actually love these! 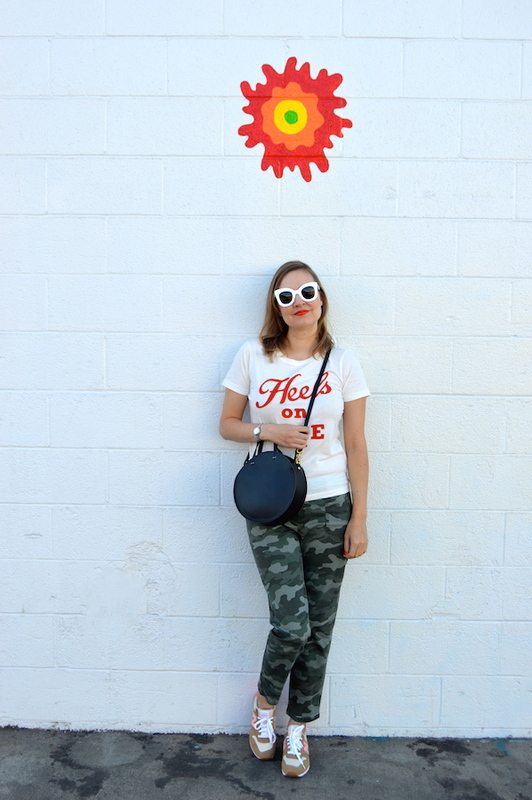 My decision to purchase these pants was the result of seeing them on several bloggers and realizing how many things the camo print could complement. My husband hates it when I utter this same line about leopard print, but I actually think camo could be considered a neutral! After all, camo was originally intended to make one blend in. In an urban environment, however, I think it makes one stand out, but in a good way, of course! 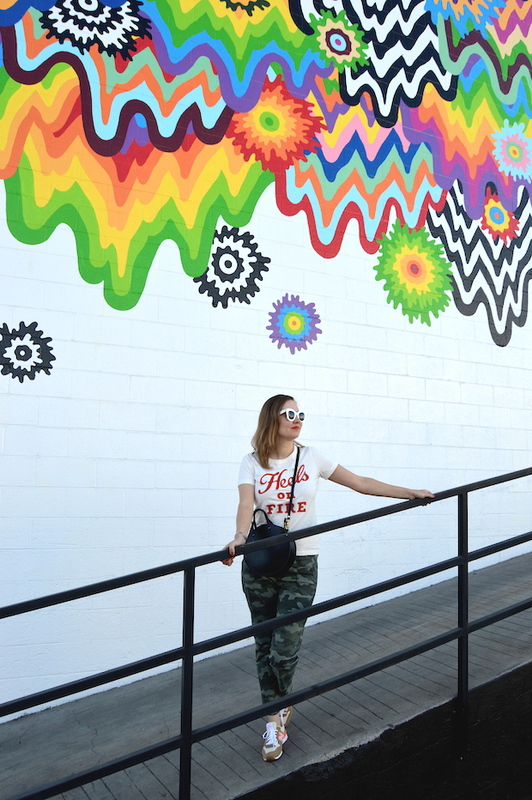 I absolutely love the mural behind you! It is definitely the perfect opportunity to wear a fun outfit like this. Your shirt is super cute, and looks really nice with your white sunglasses. Love this look! 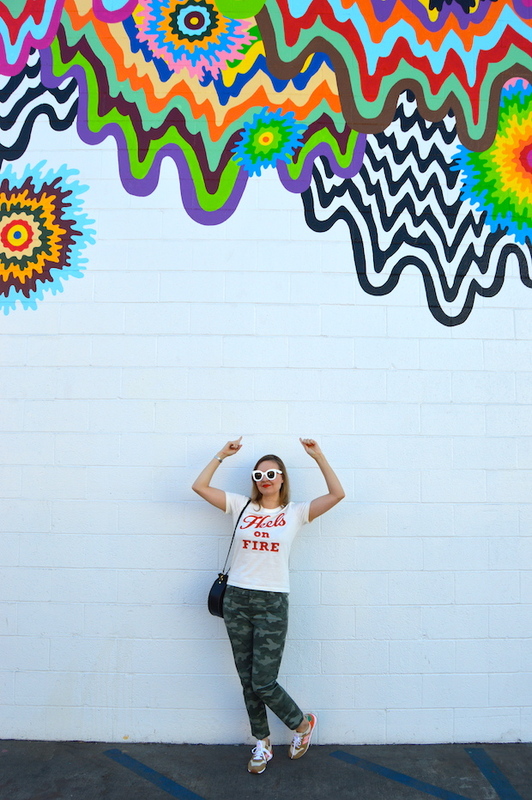 You have the best walls on your blog. 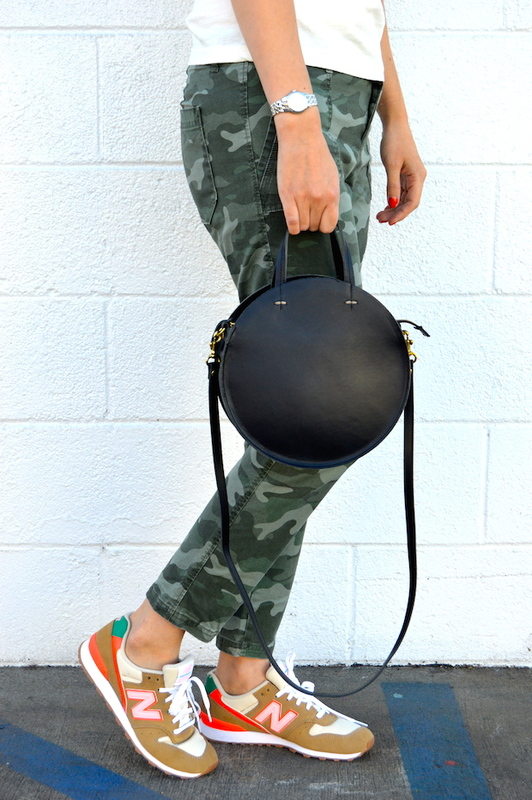 I love how you put outfits together and the camo pants are fab! 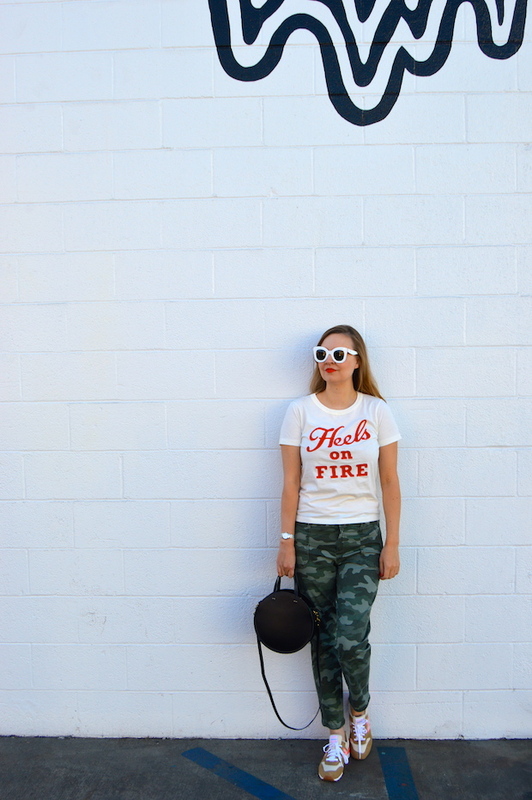 I felt the exact same way about camo, and then when I found a pair of camo jeans at the thrift store, I couldn't resist! And I think they are my faves lately!! 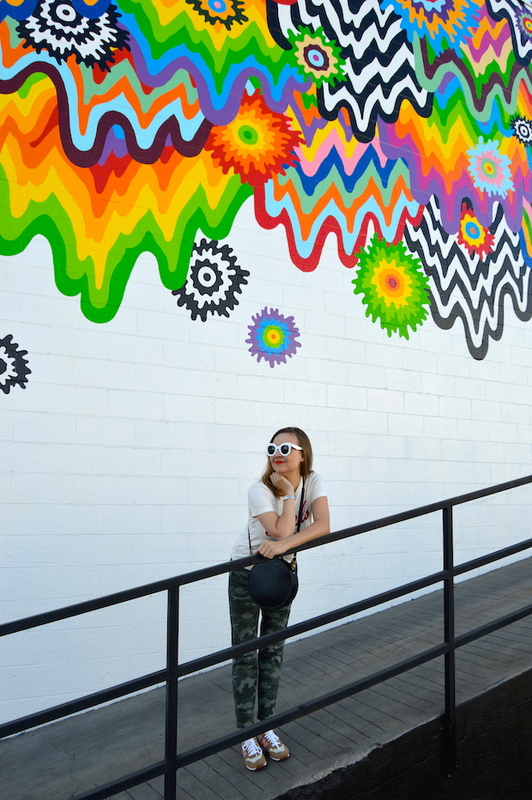 That mural is quite fabulous!!! I'd be taking all of my photos there!